A slice of bread, butter, cheese, ham and salad. 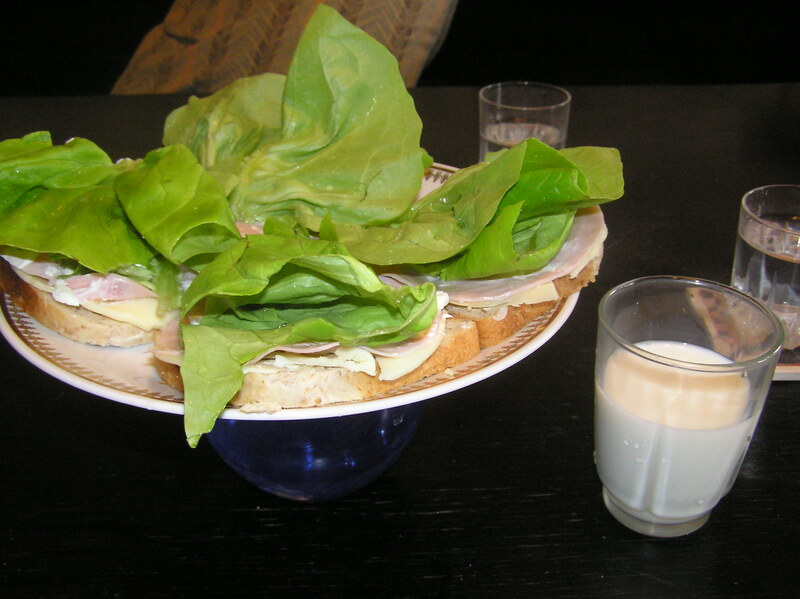 Put Philadelphia cheese between the cheese and ham, and between the ham and the salad to make it stick together. Serve with milk, water or juice. 2007-05-30 [Wendy]: Mmmm! That looks good! I'll have to try it. Thank you for sharing this with us [Hedda]!